LinkedIn is beefing up its Sales Navigator customer lead-generation solution, adding an Enterprise Edition and announcing integrations with PointDrive, as well as enhanced customer-relationship-management integrations. 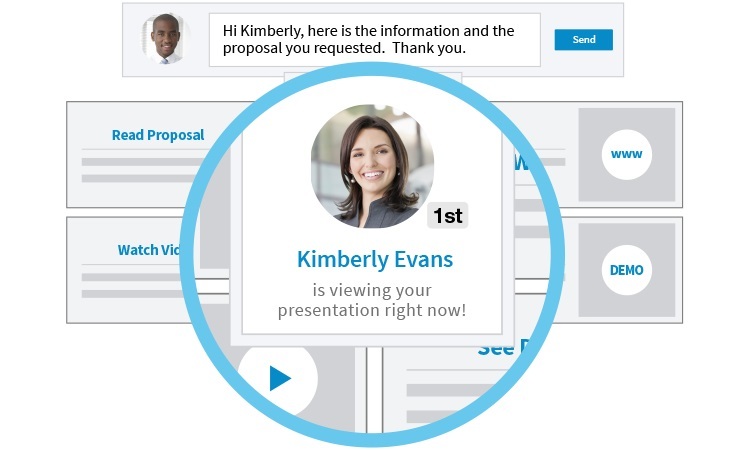 LinkedIn Sales Solutions head of products Doug Camplejohn detailed the improvements to Sales Navigator in a blog post, saying that Enterprise Edition joins Professional Edition and Team Edition. Enterprise Edition ups the number of InMails to 50 per month, adds improved manageability features like single sign-on and introduces an exciting new feature: TeamLink Extend. 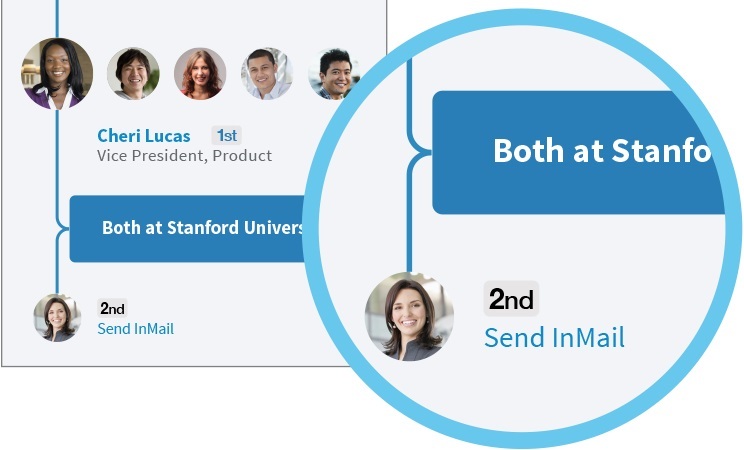 Until now, if you were looking for a warm introduction to a lead, you could go through your personal LinkedIn connections or use TeamLink, which pools the networks of all the Sales Navigator seat holders in your company. But we know your reps are probably not connected on LinkedIn to the vast majority of employees at your company, and not every employee in your company needs a seat of Sales Navigator (as much as we’d like that). TeamLink Extend solves that by letting anyone in your organization opt-in their LinkedIn network to the TeamLink pool. This means that if you’re trying to reach a prospect, you can quickly see if anyone in your company has a connection with that person and reach out to your colleague to ask for warm introduction. CampleJohn said Sales Navigator Enterprise Edition is now available, with pricing starting at $1,600 per seat, per year, before volume and multiyear discounts. 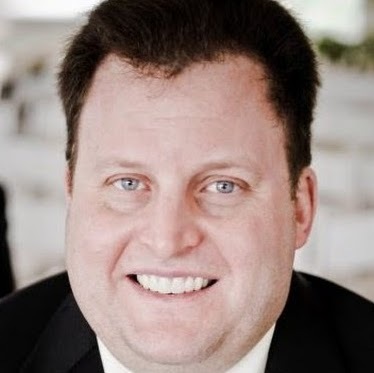 LinkedIn acquired business-to-business sales application provider PointDrive last July, and Camplejohn revealed in his blog post that its technology—which enables users to easily bundle content such as presentations, data sheets and videos and have that content “beautifully rendered in a mobile or desktop experience for the buyer”—was integrated into the Team Edition and Enterprise Edition of Sales Navigator at no additional charge. He added that Team Edition customers will be limited to 10 PointDrives per seat, per month, while Enterprise Edition customers will have access to unlimited PointDrives, along with additional management reporting. Sales Navigator’s new CRM Sync now includes writeback functionality, to give you that time back. As you take notes, send InMails or even place calls from the Sales Navigator mobile app for iOS and Android, you can now write them as activities to your CRM with a simple mouse click. For sales and operations leaders that want their representatives’ Sales Navigator activity recorded in the CRM, they now have an easy, authorized way to do it. 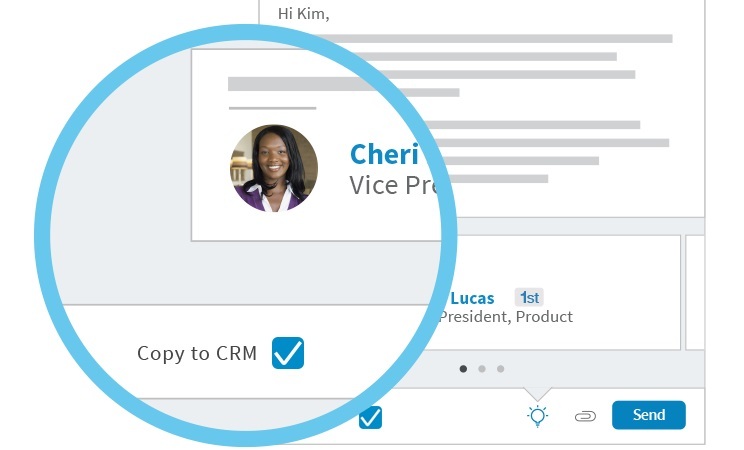 At launch, CRM Sync will be available in Salesforce, and on other CRM platforms this year. This integration also includes new CRM Widgets, which lets you view LinkedIn Sales Navigator profile details like photos, work history, job titles and TeamLink shared connections within CRMs like Salesforce and Microsoft Dynamics. Widget integration will also be coming from other partners like Oracle, SAP Hybris, Netsuite, SugarCRM, Hubspot and Zoho in the near future.